The development of construction industry recently caused natural sand are increasingly scarce. So mechanical sand as a substitute for natural sand appeared and gradually replaced the status of natural sand. It is widely used in buildings, railways, road and other industries. 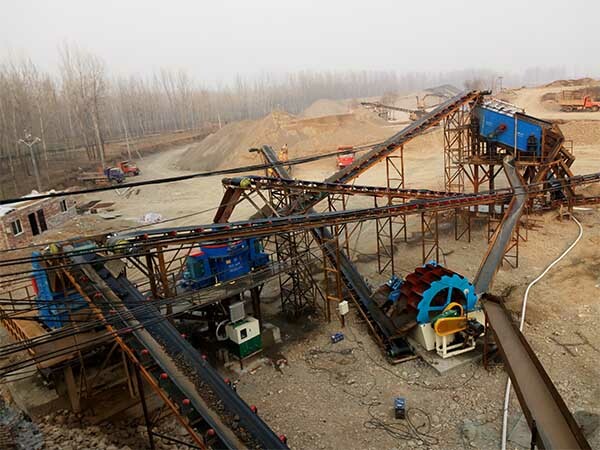 Generally, the mechanism sand production line is usually composed of vibrating feeder, jaw crusher, vibrating screen, belt conveyor, sand making machine and some accessories. According to different process requirements, various types of equipment are combined to meet the requirements of different customers. 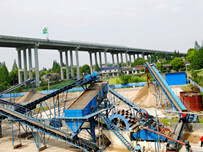 But now sand washing machines and fine sand recycling machines are widely used in sand production lines. They are mainly configured at the end of production line for sand washing and recycling of fine sand. The large stone is evenly sent into jaw crusher by vibrating feeder for coarse crushing operation, Then enters the impact crusher or cone crusher through to carry out medium crushing operation, Then enters sand making machine for fine crushing. The crushed stone enters vibrating screen through to separate sand with the required particle size. 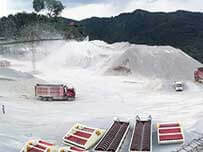 The sand with the particle size that does not meet the size requirements is returned to the crusher by the belt conveyor to be broken again, forming a closed circuit for multiple cycles. 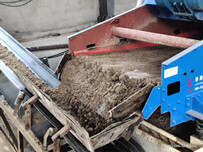 Finally, the sand that meet required particle size feed into sand washing machine for washing and removing impurities, then the muddy water into fines and recycling machine for recycling 0.074-3mm fine sand. 1. A variety of crushers and multi-level operation can produce different grain sand. The finished grain shape is good, the particle size is uniform. 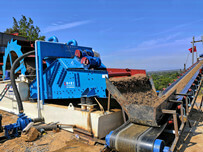 A variety of crushers work together to reduce the pressure on the crusher. 2. 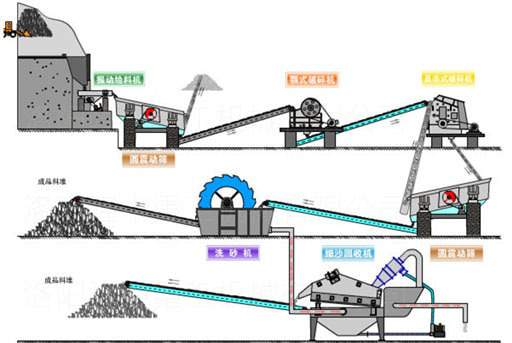 The mechanism sand production line has high degree of automation, high production efficiency, low operating cost, large output and high profit. 3. The mechanism sand production line equipment can be flexibly configured according to the characteristics of the stone material and the specifications of the finished product. 4. After processd by sand washing machine and the fine sand recycling machine, not only the sand quality is improved, the grading is more reasonable, and waste is reduced, and environmental pollution is reduced.